By year’s end, the City of San Antonio wants to designate a segment of the near West Side, and the near-East Side communities of Denver Heights and Government Hill, as neighborhood empowerment zones (NEZ), a Texas statute that allows home owners to have their city property taxes frozen for no more than 10 years. The city’s Neighborhood & Housing Services Department (NHSD) wants to take at least one of the aforementioned communities to the City Council for approval in August, after the council’s summer break. NHSD Director Veronica Soto said she expects all three neighborhoods to receive the NEZ label this year. The timeline is one that has been partially influenced by COPS Metro Alliance. Earlier this week, COPS Metro and NHSD officials met to iron out concerns the community organizing group had about the city’s timeline for anti-gentrification policies. Since December, when the City Council revised its downtown housing incentive policy, which many observers consider the catalyst for the area’s rapid growth in market-rate apartments since 2012, COPS Metro has demanded the city accelerate policies that are designed to keep people in their homes amid the development wave. The group hasn’t been shy about its use of the upcoming May 4 election to spur elected officials to take action on these policies sooner rather than later. » Hire a consultant to craft a larger displacement prevention strategy. » Bolster NHSD staff to handle additional outreach efforts such as educating people who qualify for either a homestead or senior tax exemption. Soto said NHSD will work with groups like COPS Metro to identify qualified residents who might need help filling out the form. In late March, the City Council approved the risk mitigation policy, which is designed to help people who are in the process of being uprooted—or near that point—with moving expenses. The day before the vote on March 20, some 200 members of COPS Metro packed City Council chambers during the weekly citizens to be heard meeting, and demanded the city scrap its plan to study the housing situation. Instead, it wanted an action plan to commence as soon as possible, which the city is now doing. 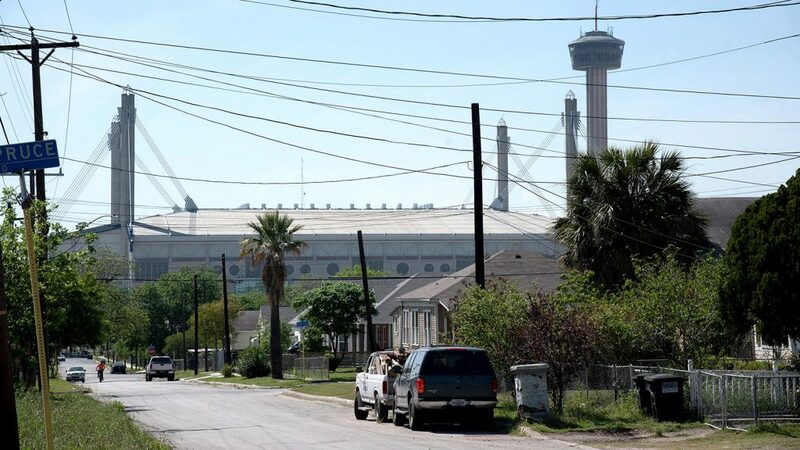 Tijerina mentioned studies already in place, including the final report by the Mayor’s Housing Policy Task Force and “An Analysis of Housing Vulnerability in San Antonio” by the National Association For Latino Community Asset Builders as baselines for the immediate formation of a displacement policy. Deferred taxes are more fair to all taxpayers in the city than frozen taxes for a few. Defer the taxes until the owner sells, converts to a rental unit, or dies. Then the taxes are due out of the sales price as a part of the closing agreement. That allows a person to stay in the house, but it doesn’t unfairly favor him over other taxpayers who are having to pay their increasing taxes year after year. Of course, I meant defer the tax INCREASES rather than all of the taxes in my first comment. Dansktex – You’re right on. A tax freeze gives those residents a tax break AND the benefit of rising property values when they sell. So the residents of select neighborhoods can have their cake and eat it too, while everyone else picks up the slack by paying higher taxes. Deferred taxes offer a much fairer solution. And it appears to apply only to homeowners, so renters are (yet again) entirely forgotten and get no relief.